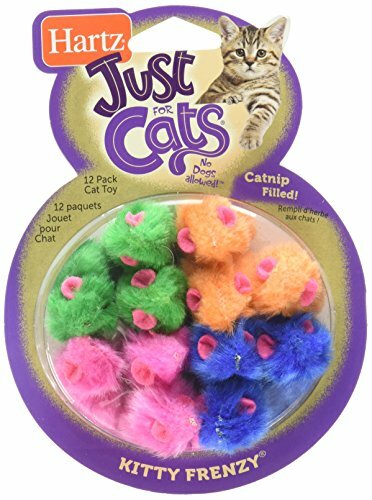 Easy cat toys to make! 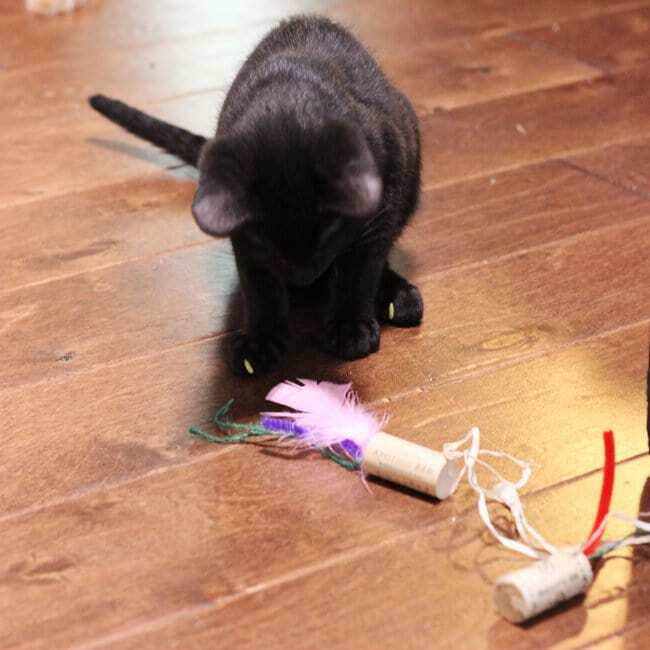 All it takes is a couple of wine corks and a few other items you probably have around the house and these DIY cat toys will provide your kitty with hours of fun. Trimmings like feathers, pipe cleaners, jute, raffia, etc. 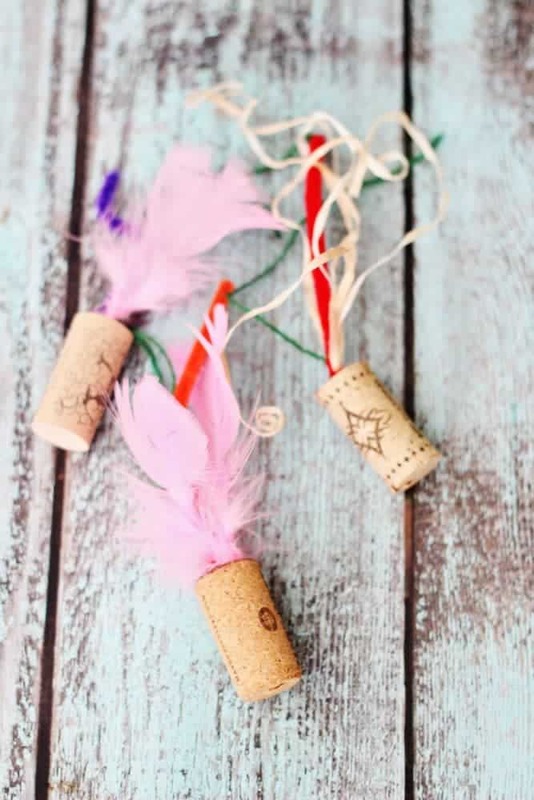 Start by steaming the wine corks for a few minutes to soften them up, then use scissors or a paring knife to make a hole 1″ deep into the corks (you’ll also have to do some twisting to make the hole wide enough) If your corks are being stubborn, you can boil them instead of steaming. Just make the hole after pulling them from the water and allow them to cool off and dry a little before using the glue. Twist the trimmings around each other to make a point, then roll the twisted ends in enough epoxy that they form a fine point. Squirt a little epoxy into the cork then add the pointed end of the trimmings to the hole. 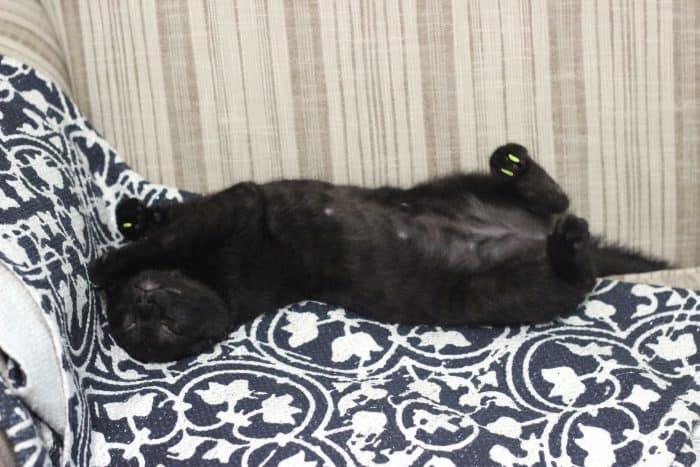 Allow to dry completely before giving to your cat. 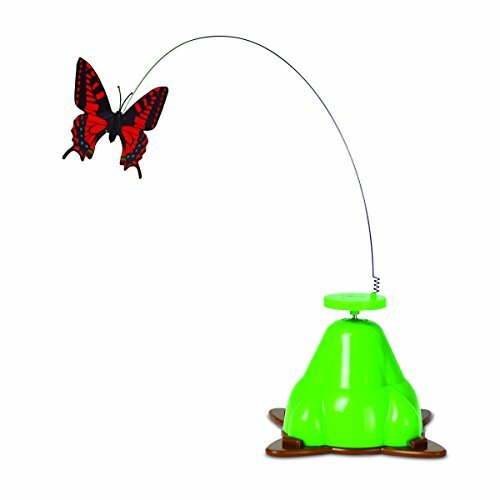 This will not only to prevent the toy from falling apart but will also keep your kitty from breathing any epoxy fumes. They will be put-off by the smell anyway so just let it thoroughly dry first. You know it’s serious when they get up on their back legs to show the toy who’s boss. 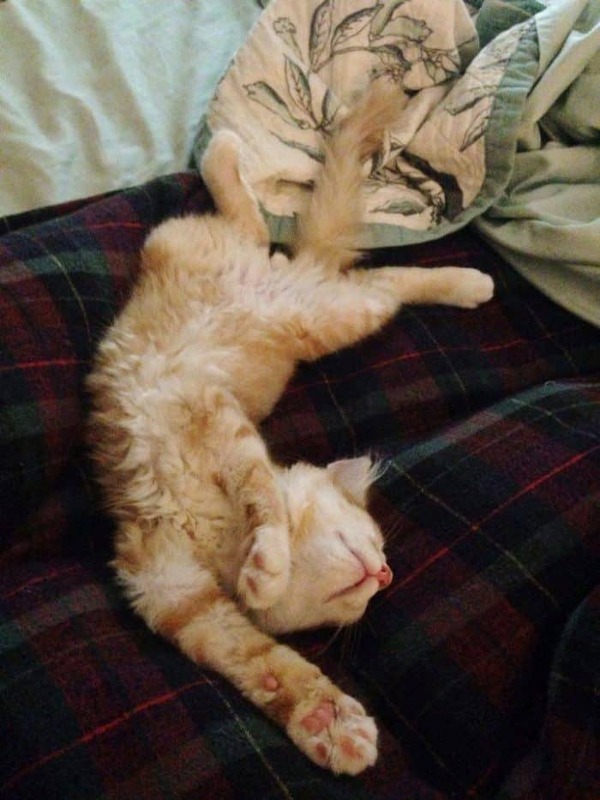 And when they crash hard after playtime is over. 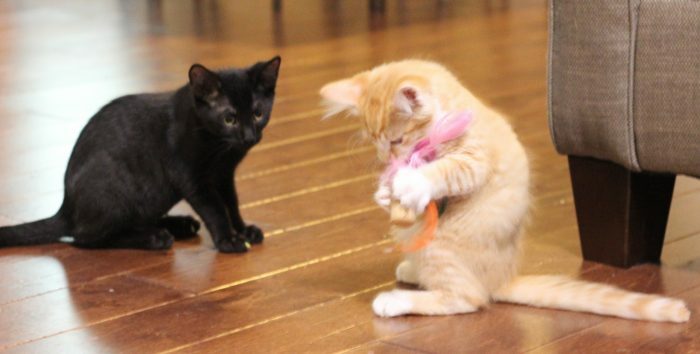 Fudge and Creamsicle wanted to share with you their two favorite toys that aren’t homemade. 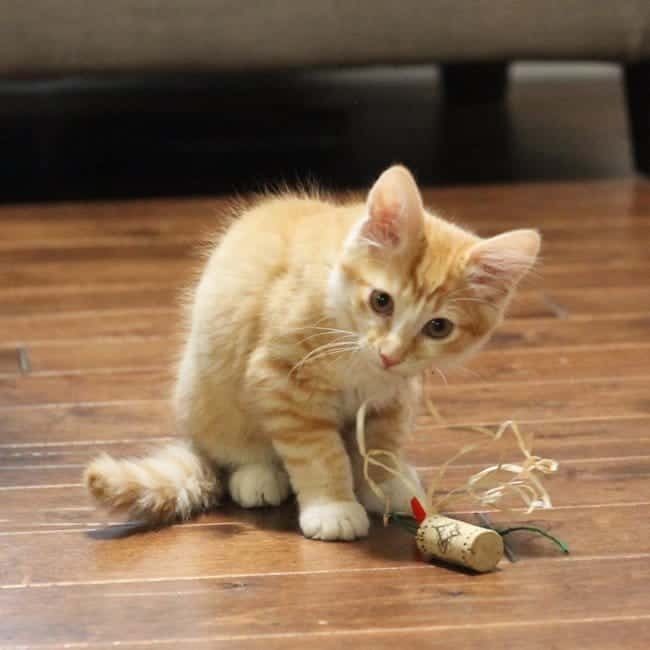 For Fudge it’s fuzzy catnip mice and for Creamsicle it’s this spinner toy. His has a hummingbird on his though. Love! Love your kitties but hate their fleas? 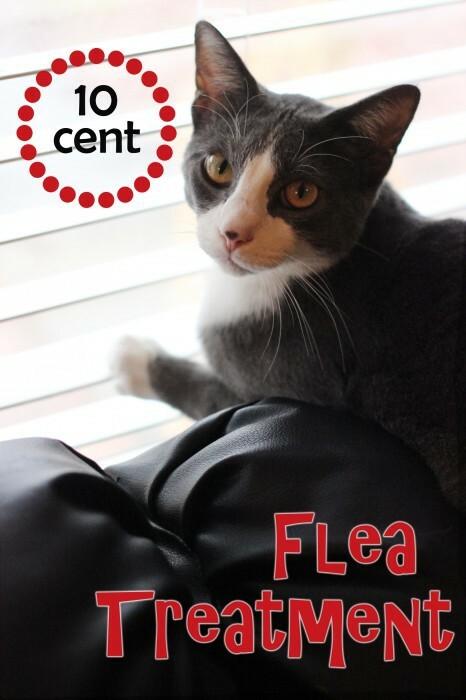 Check out how to get rid of fleas on cats without putting harsh chemicals on them!